Hospitals and healthcare environments today are challenged to maintain two vital goals: improving healthcare outcomes and upholding patient satisfaction. eGlass solutions have proven an instrumental solution for ensuring the best of both. 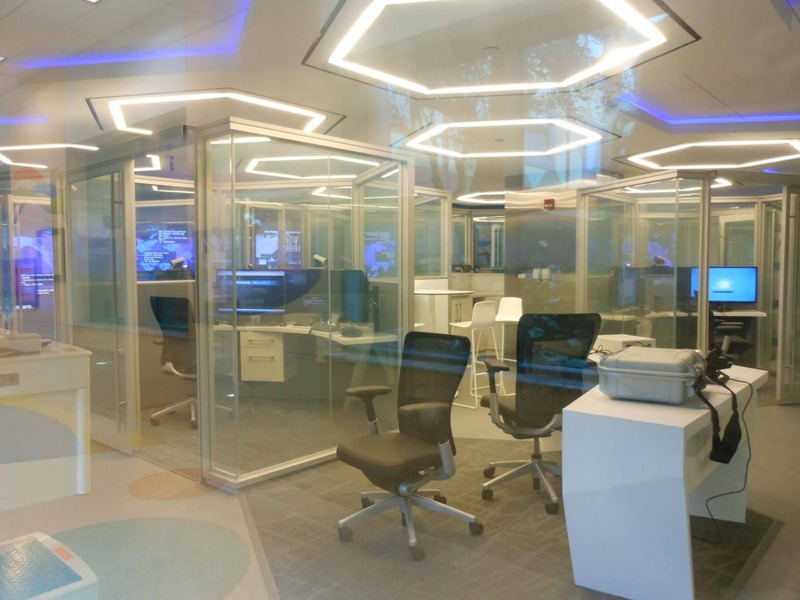 eGlass® delivers game-changing patient engagement advantages, offering exceptional visual and audible privacy as well as extreme infection protection while ensuring comfortable and physically pleasant environments. As hospitals well know, fabric curtains provide little to no privacy or protection because they are not soundproof and collect germs that result in cross-contamination, while exterior window treatments, such as blinds and shades attract dust and contagions as well. These germs not only compromise patient health, but also put service reimbursement and revenue at risk. eGlass solves these troublesome issues by removing all unnecessary moving parts and replacing them with dynamic glass solutions. Replace traditional fabric curtains with a state-of-the-art, maintenance-free, high-tech alternative. Deploy what has been implemented at numerous prestigious medical centers around the world. Utilize this healthier alternative for walls or windows in patient rooms and diagnostic areas. 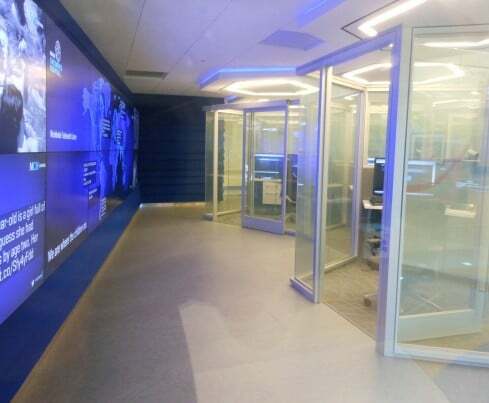 Retrofit walls and entryways to active ERs or ORs. Configure to sliding, telescopic or breakaway doors easily. eGlass offers patients the opportunity to engage with their environment and make it more comfortable. 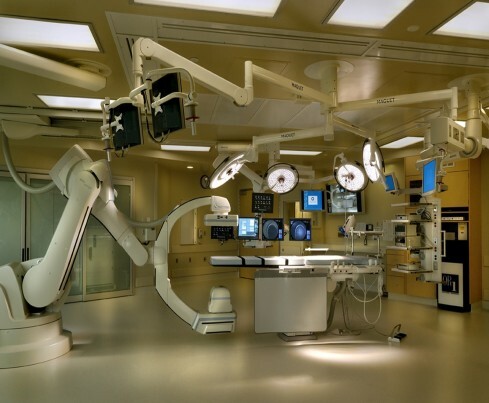 Our products can either be automatically controlled or electronically operated thru a wall switch, or remote control by the patient or a nearby nursing station via, or with hands-free operation, using motion sensors or voice commands. 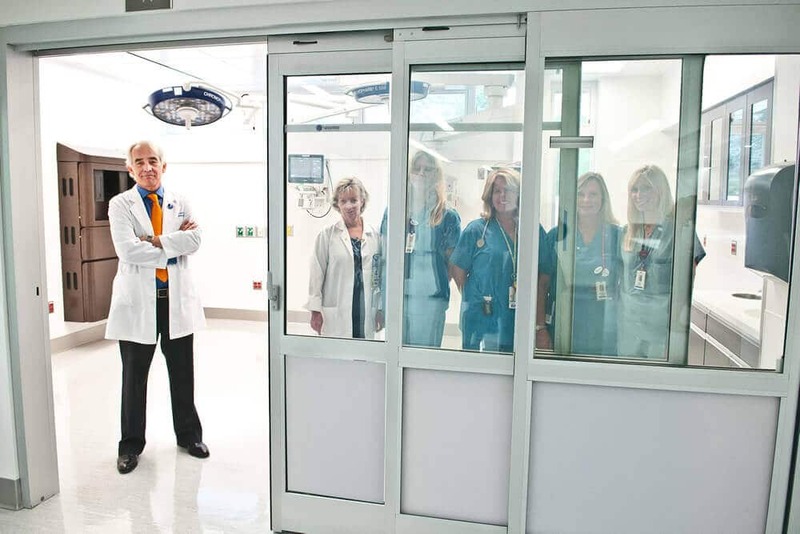 eGlass is ideal for the facades of hospitals and is easily installed throughout facility interiors in fixed or sliding walls, within partitions, and as well as in the swinging or breakaway doors typically used in the ICU and ER. It is virtually soundproof because of its lamination, and it can be tempered for near-indestructibility, if needed. Wiring methods can range from simple door loops or electrified hinges to more proprietary integrated power transfer systems for sliding and breakaway doors. Moreover, cleaning and sanitizing is as easy as spraying the surface with a disinfecting antibacterial solution, providing extreme infection protection for healthier, happier patients and practitioners – while saving hospitals time and money. 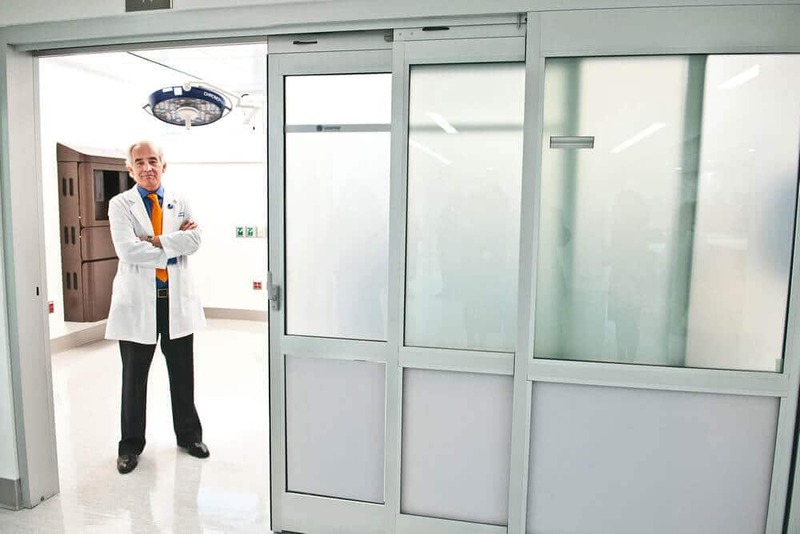 For hospitals, privacy is paramount. Whether audible privacy or visual privacy – you should be in control. eGlass high-tech privacy solutions help to block out environmental stressors & noise, maintain patient dignity as well as confidentiality during exams, treatments and consults. 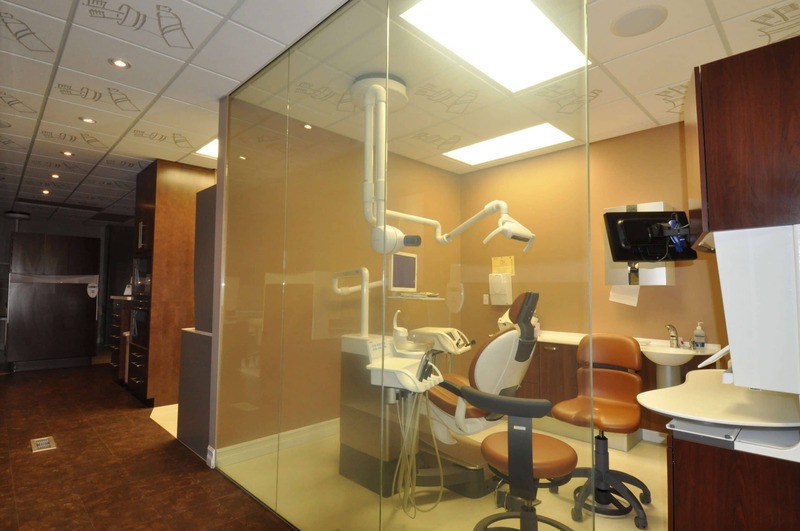 Create a healthier, curtain-free environment while offering patients a level of control. When in the powered state, the panels are translucent, allowing full view and daylight to pass through. But when unpowered, the view is obscured, providing complete privacy on-demand. Maintain a perfectly balanced daylight-filled environment that can help promote healing. 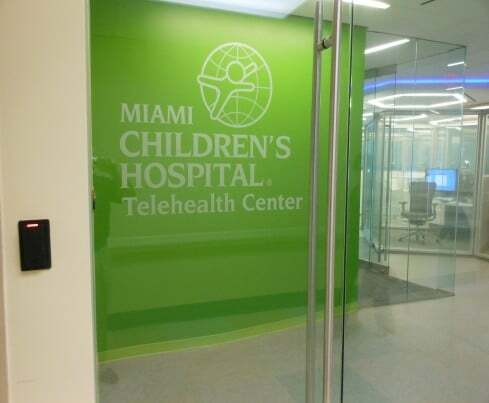 Eliminate glare and obscured window views while connecting patients to the outdoors. eGlass offers several products that let just the right amount of light to pass through. Some operate autonomously, and some can be controlled and overridden by a wall switch, remote control, smartphone, or a fully integrated building management system. 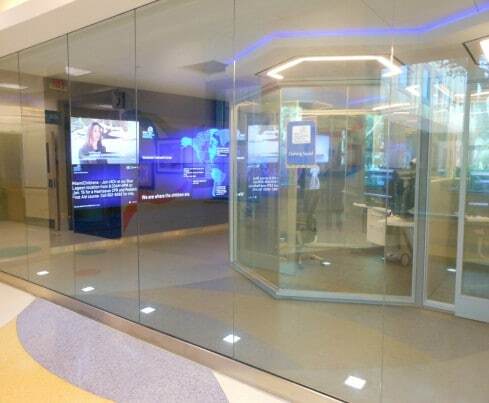 Keep patients, visitors and hospital employees comfortable with glass that will continuously adapt and tint throughout the day, either automatically or electronically. 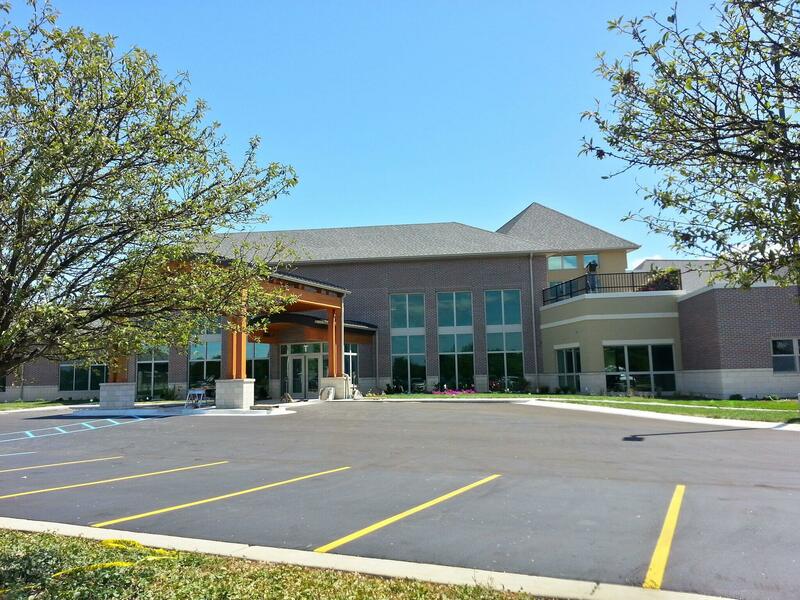 Our eGlass solutions will effectively manage solar heat gain to save energy, money, and leverage the benefits of solar heating when needed throughout healthcare facilities.